Keep Moving Movement: Stay separate from the herd. Stay separate from the herd. Jules Leotard, the son of a gymnasium owner, was a novice acrobat when he hit upon a brilliant idea: how about, instead of doing his routine on fixed bars, he did it on bars that swung? After much practice and preparation the big day arrived. 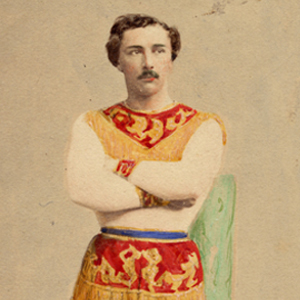 On November 12, 1859 Jules Leotard, at the tender age of twenty-one, made his public debut at the Cirque-Napoleon in Paris. In a single performance, he created a new art form, 'The flying Trapeze', that was seen as both exciting and daring. He also popularised the one-piece gym wear that now bears his name (Leotards) and inspired the song… The Daring Young Man on the Flying Trapeze. While you may not have dreams of flying through the air, or have desires to be the richest person on earth, or play a grand role in adventures like 'demonetisation', I assure you with as much conviction as I can muster… that YOU Do have the opportunity to DARE MIGHTY THINGS. 3) Get far outside your comfort zone. When New Year comes, may you carry the conviction that 2017 will be the BESTEST year ever, of your entire life. Get inspired by YOUR own dreams. That's the best way to live YOUR life.